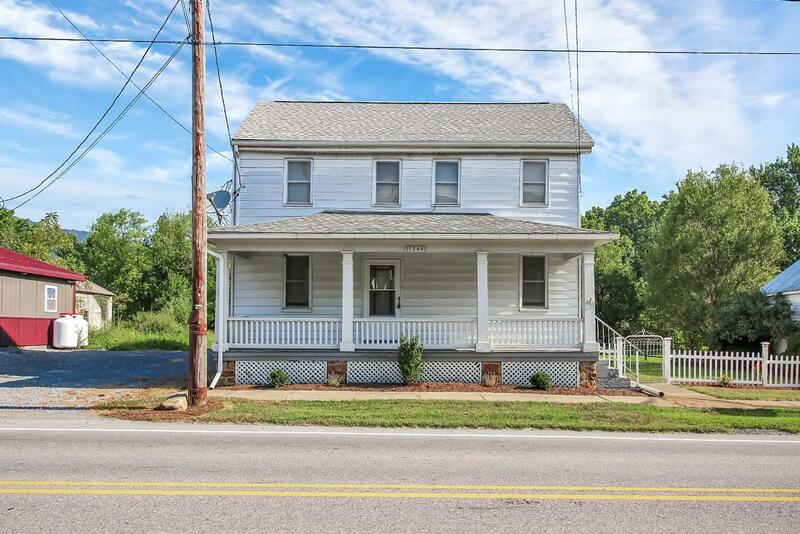 Must see home for anyone looking for small town living with a big time opportunity for the ability to run a small business or use as an investment property. Take advantage of the garage and barn area to indulge in your businesses or hobbies complete with plenty of parking space. Enter the rear of the home through a convenient mudroom which then leads to what could be an office or a family room. The property boasts a large, cozy country kitchen complete with a propane fireplace. A full bath is located on the 1st floor, a den with a fireplace and a living room which could double as a first floor bedroom if needed. The second story includes 3 bedrooms and a second full bath. A new roof installed in 2018, public water system, septic system pumped in 2017, 100 AMP Square D electrical panel. Welcome home! See agent remarks for listing agent contact information.